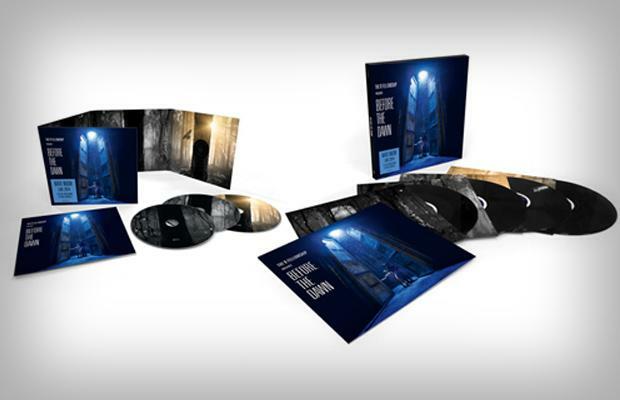 Live album by Kate Bush, released by Fish People on 25 November 2016. It is a selection of recordings made during Kate's live concerts in 2014, also entitled Before The Dawn. The album was certified Gold in the UK in January 2017. The album was released on a 4 LP set, a double CD and a digital download. It was an extraordinary experience putting the show together. It was a huge amount of work, a lot of fun and an enormous privilege to work with such an incredibly talented team. This is the audio document. I hope that this can stand alone as a piece of music in its own right and that it can be enjoyed by people who knew nothing about the shows as well as those who were there. I never expected the overwhelming response of the audiences, every night filling the show with life and excitement. They are there in every beat of the recorded music. Even when you can’t hear them, you can feel them. Nothing at all has been re-recorded or overdubbed on this live album, just two or three sound FX added to help with the atmosphere. On the first disc the track, Never Be Mine, is the only take that exists, and was recorded when the show was being filmed without an audience. It was cut because the show was too long but is now back in its original position. Everything else runs as was, with only a few edits to help the flow of the music. On stage, the main feature of The Ninth Wave was a woman lost at sea, floating in the water, projected onto a large oval screen - the idea being that this pre-recorded film was reality. The lead vocals for these sequences were sung live at the time of filming in a deep water tank at Pinewood. A lot of research went into how to mic this vocal. As far as we know it had never been done before. I hoped that the vocals would sound more realistic and emotive by being sung in this difficult environment. (You can see the boom mic in the photo on the back of the booklet. This had to be painted out of every shot in post-production although very little of the boom mic recording was used. The main mic was on the life jacket disguised as an inflator tube!) The rest of the lead vocals on this disc were sung live on stage as part of the dream sequences. The only way to make this story work as an audio piece was to present it more like a radio play and subdue the applause until the last track when the story is over and we are all back in the theatre again with the audience response. Unlike The Ninth Wave which was about the struggle to stay alive in a dark, terrifying ocean, A Sky Of Honey is about the passing of a summer’s day. The original idea behind this piece was to explore the connection between birdsong and light, and why the light triggers the birds to sing. It begins with a lovely afternoon in golden sunlight, surrounded by birdsong. As night falls, the music slowly builds until the break of dawn.